Yes, another Christmas review, but bear with me because there is bound to be at least one kid on your Christmas list that will light up over this! 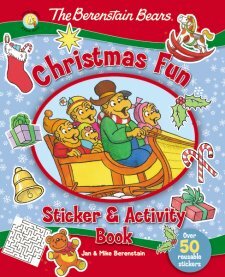 The Berenstain Bears Christmas Fun Sticker and Activity Book. Taking a long trip to Grandma's house and need something to keep the little ones entertained? Planning a dinner out at a restaurant and fear that your kids will become restless? This activity book is written for children ages four through eight, and rightly so. Some activities are certainly geared towards writers such as the crossword puzzles, word searches and fill in the blanks. Some of the other activities would be fun for the older bunch but also doable for four and five year olds, like the dot-to-dot puzzles, coloring pages and patterns. The stickers, of course are perfect for all the ages within this range. I appreciate the variety, the vibrant colors and of course the lovable Bear family that we all know and love. This would make an adorable gift that won't disappoint! Disclaimer: This book was provided by Book Look Bloggers. All opinions stated here are my own. 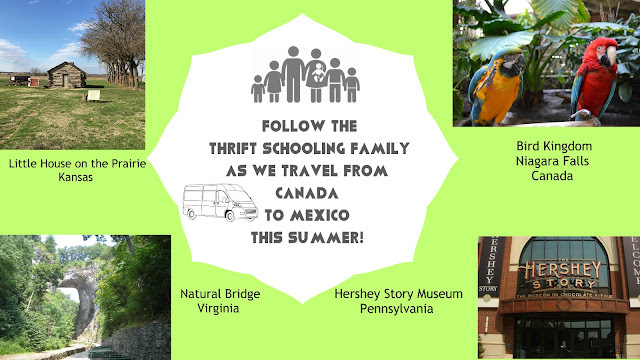 Join Us This Summer: Canada to Mexico!